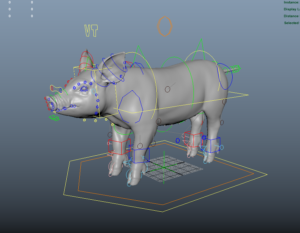 In the beginning of the year we have provided realistic rig of the baby pig for this PETA Best Friend project. 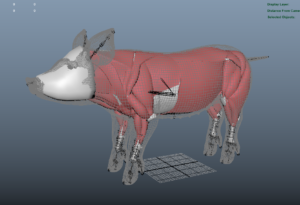 RIG-IT.net created complete Body, Face and dynamic muscles rig for this animal character. Ziva VFX plugin was used to rig drive polygonal muscles with added fascia skin layer to deform final skin. Complete spot with some muscles and skin simulation adjustments was done by Mackevision, Germany.